Believe it or not, Apple’s wireless earbuds are seeing an update, but are the 2019 AirPods any different from what you’ve already seen and heard? Now that Apple is moving to a wireless world, it makes sense for its personal audio to get an update as well, and that means the AirPods get a refresh: the 2019 AirPods now support wireless, as well as some other improvements. Are we closer to perfect, or is just more of the same? Echoing the first generation of Apple AirPods, the 2019 AirPods look pretty much spot on to that original pair, offering two tiny white EarPods with the cords cut off, allowing them to hang from your ear as you sit, stand, walk and talk, generally getting on with your life as you do. For the most part, they’re actually the same as what you would have seen in the older model, though there is a change under the hood: Apple has replaced its W1 wireless chip with a newer H1 headphone chip, providing what Apple says is a more stable connection and keeping Siri access constant if you’re the sort of person that likes to talk to Apple’s digital assistant. That means the chip can always listen out for you to say the magic words to talk to Siri, and you don’t have to raising your finger to touch the earphones to tell it that you’re about to talk to them. Alongside that chip, Apple uses two beamforming microphones to pick up on the sound of your voice and clear it up, as well as an accelerometer for both motion and speech detection, and optical sensors, too. 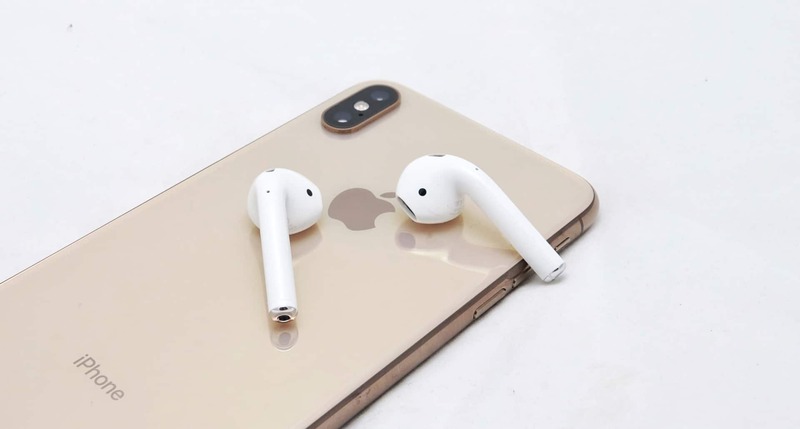 The 2019 Apple AirPods have moved to Bluetooth 5.0, a new feature which should improved wireless connectivity, and just like Apple’s older generation, they’re enabled for easy pairing with modern iPhones simply by holding them near an iPhone. It’s really that easy. They’re still made of plastic, they’re still small, they only come in white, and some people might still refer to them as little white toothbrush heads for your ears, so none of that has changed. Using the second-generation AirPods still comes with the same caveat as the first, as the controls just aren’t fantastic. You have a touchpad on either ear and can change what these do when they’re tapped, but that’s about it, and we’re not talking a wide assortment of controls. By and large, it’s mostly just pausing and playing, with double tapping working as skipping tracks, and that’s without adjustments, though there’s no volume control or ambient noise features. Basically, it’s some of what you get with a wired Apple EarPods remote, only without the volume, just like last time. With no major changes on the physical controls, you may be curious what’s changed on the audio quality side of things, and the answer is not much, if anything. 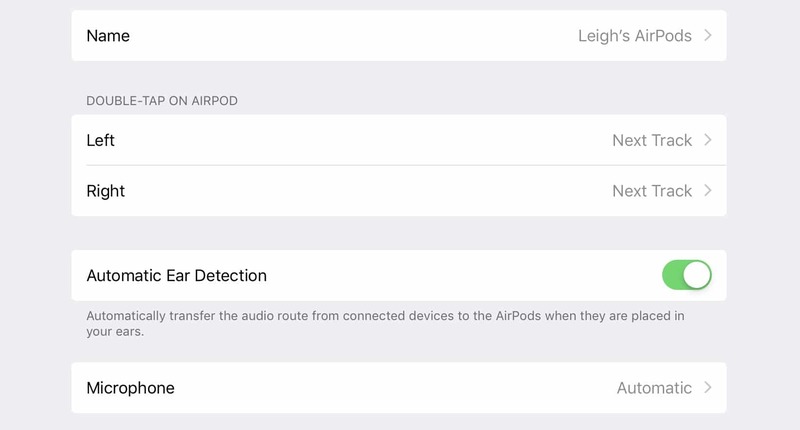 Adhering to the adage of “if it ain’t broke, don’t fix it,” Apple has left the audio performance largely unchanged, and while the Pickr Sound Test has seen a few track changes since the last AirPods review, the quality of sound on offer was reminiscent of what we experienced a couple of years ago. Volume was loud enough in a quiet room, though unsurprisingly, the earbud design meant we had to turn the volume up quite a bit in order to hear what was being screamed through our ears when we were out and about. That is, unfortunately, one of the downsides with earbud design, as it tends to let in more noise than you might otherwise want. However, in the quiet room, our audio test proved comfortable. Without too much of a noise, the 2019 AirPods produce a surprisingly warm and balanced sound regardless of what you’re listening to. That means whether you’re jumping up and down to Carly Rae Jepsen, Charlie Puth, or Paul Simon, you’re going to find a decent tonality with solid spectrum of sound across mids, highs, and even lows. While we’re not necessarily fans of the comfort, credit to Apple’s engineers needs to be given with regards to the balance of bass, as these things don’t sound bad at all, regardless of what genre you happen to be listening to. The call quality is also very solid, and whether we spoke on Android or iPhone, that’s one thing we could pick up on: the microphones do a stellar job here, cleaning things up and making calls clear. With the audio left unchanged, the most interesting area is perhaps with the battery, which sees a few shifts in what it can do. On the one hand, you may find a touch more battery life lurking from the recharge system, which generally offers four to five hours of charge time if you keep using them, but will probably see the case before that time is up. In theory, you could keep using them for a few hours before the 2019 AirPods gave out, though we’ve never found the AirPods comfortable for long-term use, so they found their way back to the charging box after one or two. 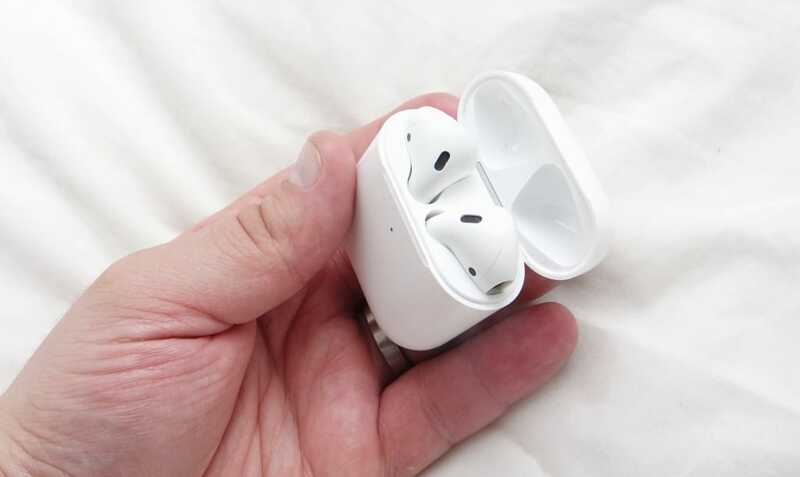 However, that charge box now holds enough charge for a good 24 hours of use, meaning if you keep using the 2019 AirPods for a few hours a day, you’d probably only have to charge the box once per week. Wirelessly charge the AirPods in a wireless charging case. 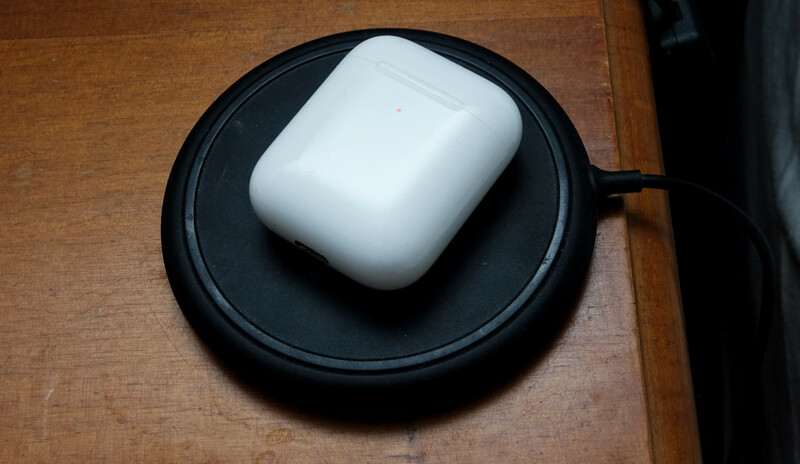 The other handy thing about Apple’s change in the second-generation AirPods is the charging: while you can easily plug in the Lightning plug and charge the 2019 AirPods the same wired way you can with an iPhone, you can also charge the new AirPods wirelessly using a wireless charger, provided you’ve grabbed them in the wireless charge case. That’s more handy and convenient than necessarily life-changing, but cool nonetheless. There aren’t many headphones that offer wireless charging, and at the time of publishing, we can only think of Altec Lansing’s that does it, making it a very, very new feature. But while battery has seen a bit of an improvement, much like the performance, pricing hasn’t changed for the 2019 AirPods. 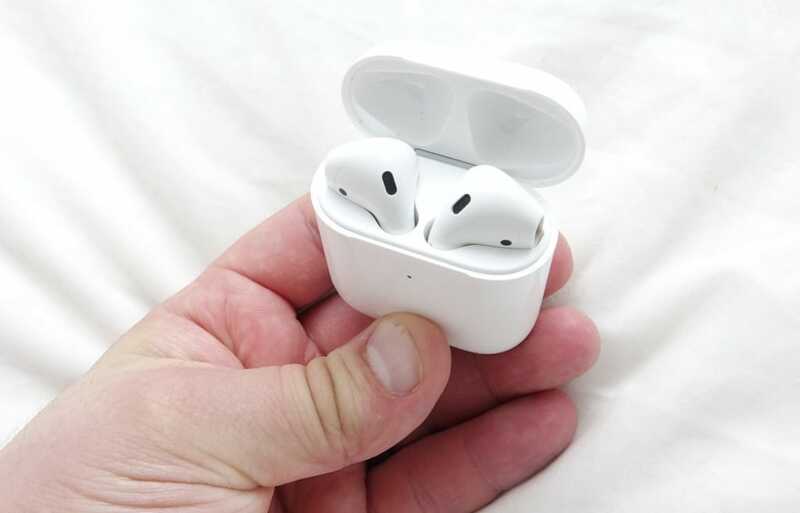 If you get the second-generation Apple AirPods, you now get the choice between them arriving in the standard Lightning-charged case for $249 or one with Lightning and wireless charging for $319. Alternatively, if you already have AirPods, you can just buy the Wireless Charging Case for $129. 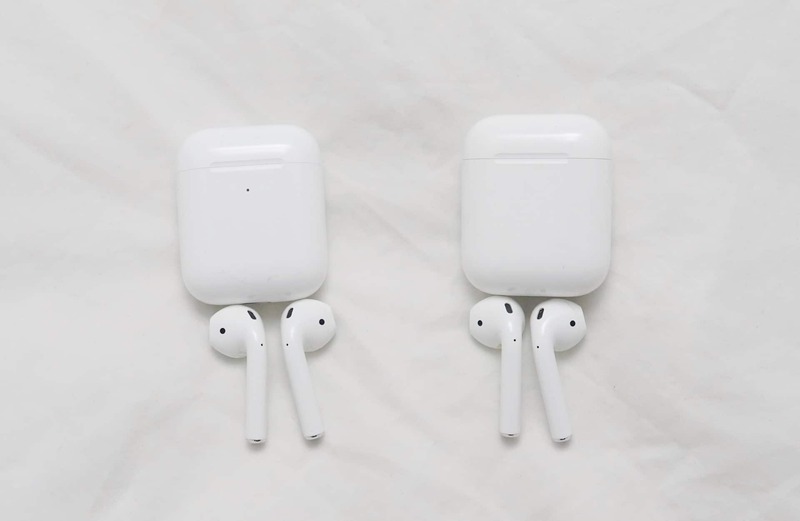 Either way, the 2019 AirPods work the same way, and offer the same 24 hour worth of charges, making them more than capable when it comes to battery life in what is still one of the smallest packages you can find for personal audio. It’s been almost two years since the first generation of Apple’s wireless EarPods rocked up, and while we have a sequel, we don’t have as much change as we might have liked. Yes, they’re still going to be a cultural icon for the wireless generation, and we fully expect that many folks with an iPhone will still clamber for the little white earbuds much like they do now. However, they’re not perfect, and there are still things Apple could do to get there. We still yearn for a little more control over what’s there, because like the original AirPods, control is basically non existent. You can double tap to change tracks, and you can take them out of your ears to pause, and that’s basically the limit of what you can do. You still cannot customise much of what you’re doing with those controls, changing the taps to different things, but only on iPhone or iPad, similar to how it works with the Beats controls on the Solo 3 and Studio 3 headphones. In fact, you can’t change the controls at all on Android, so if you pair the 2019 AirPods with an Android phone, you’ll be stuck with whatever controls were last set, which is usually tap once to pause or play and tap twice to skip tracks. Yes, they work on Android, but the experience isn’t exactly Android friendly. We’re also over the ridiculous design from back when they arrived, but they’re still not very comfortable, at least to our ears. Some people like the AirPod and some people don’t, but that’s an inherent downside with earbud design that Apple still hasn’t really moved past. Simply put, you’ll either like them or you won’t. 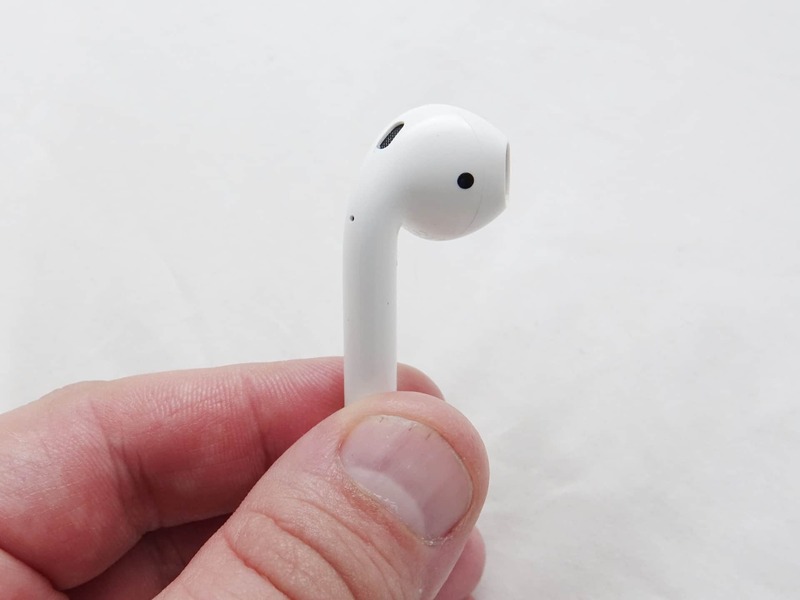 One of the best ways of finding out ahead of time, however, is to grab a pair of Apple’s wired EarPods, stick them in your ear, and see if you find them comfortable for long periods of time. 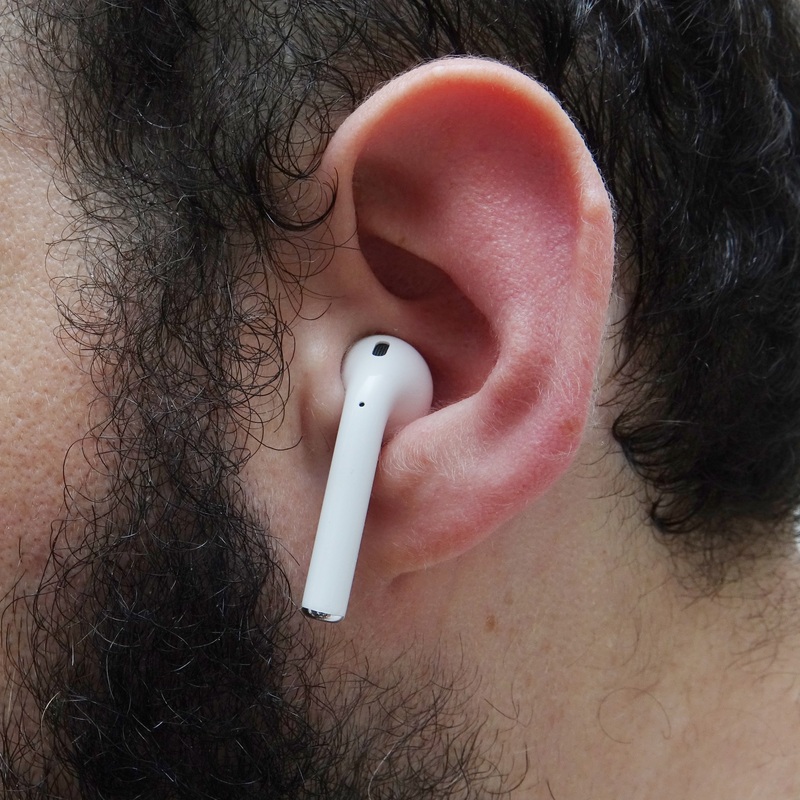 If the answer is no, you’re probably not going to like the 2019 AirPods, either. Apple AirPods (2019) on the left with AirPods (2017) on the right. Good luck telling the difference. There’s an LED dot on the case of the new model. 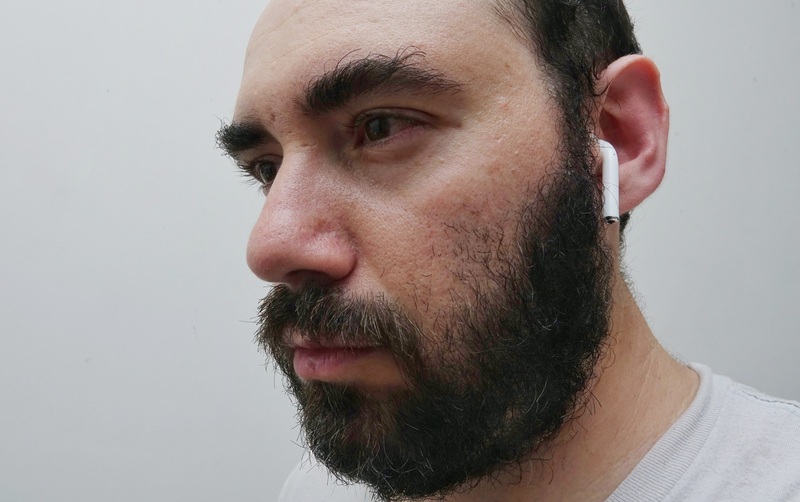 While the negatives are still notable, the positives with the 2019 Apple AirPods are their saving graces: it’s the same sound with better connectivity, Siri integration, and more battery life. And depending on the sort of person you are, you can free yourself from even more cables with a wireless charging case. For many, these upgrades will make all the difference, and while Apple’s AirPower is dead in the water, the standard of wireless charging is now ubiquitous that finding a supported charger isn’t going to be hard, you just might have to settle for one that isn’t made by Apple. Essentially, if you loved the last AirPods or wanted to wait because you weren’t sure what 2019 had in store, this year’s AirPods are exactly what you’re after. They offer the same sound with improved wireless and better battery life. They’re still not going to be the wireless earphone for all, but if you loved the old AirPods, the new AirPod offers just that little bit extra in a wireless world. It’s more of the same, but marginally better, and that’s totally okay, provided that’s what you want.